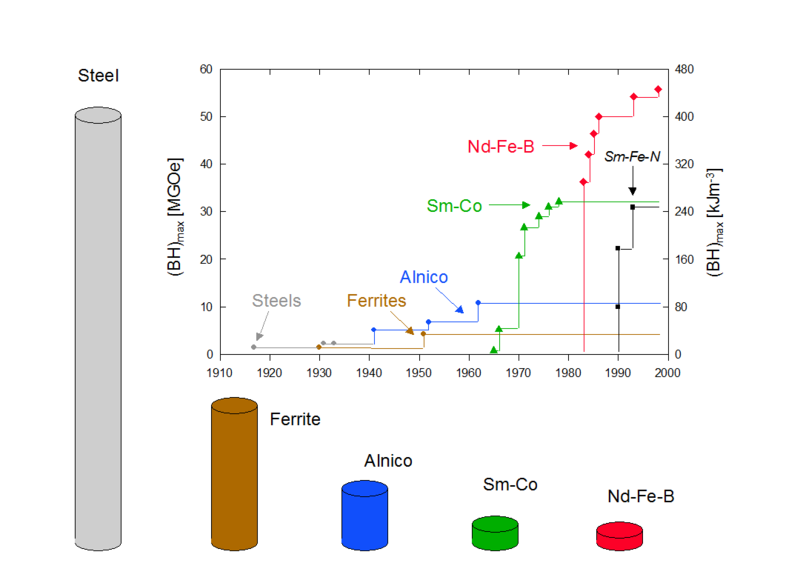 Development in the energy density (BH)max at room temperature of hard magnetic materials in the 20th century and presentation of different types of materials with comparable energy density (each magnet is designed so that at a reference point 5 mm from the surface of the pole a field of 100 mT is produced). Technical University of Darmstadt wave a longstanding experience on production and characterization of permanent magnets. Some major research topics are: Hot-deformation, recycling, grain boundary diffusion process, Rare-earth free magnets, coercivity and anisotropy mechanism, and advanced multi-scale modeling. 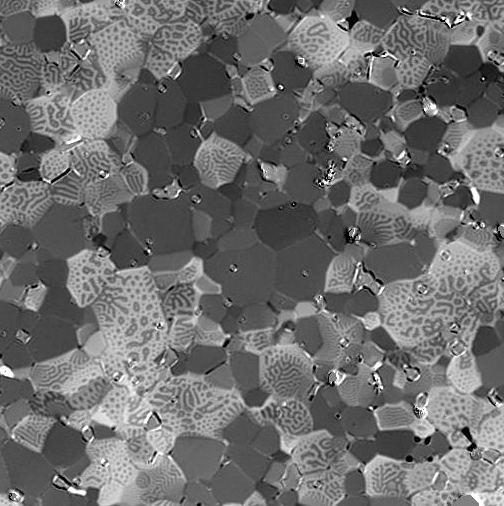 Magnetic imaging using techniques like Kerr microscopy and magnetic force microscopy (MFM) can probe the magnetic characteristics of grains and domains of a permanent magnet at the micron-scale. Kerr magnetometry image of a permanent magnet at the micrometric scale.